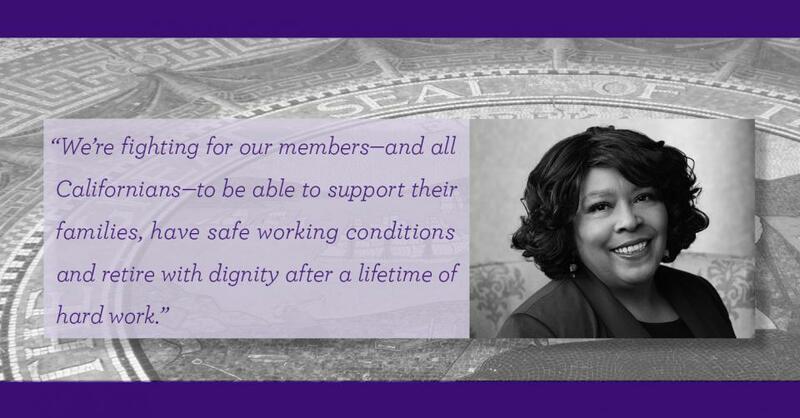 Our efforts to fight for social and economic justice for workers—and all Californians—has led to the successful passage of four different bills in the Legislature that will change the lives of our members, our families and our communities. The four bills—which are now awaiting the signature of Gov. Jerry Brown—will enhance retirement security, streamline civil service procedures, prohibit the dangerous practice of mandatory overtime for nurses and nursing assistants, and offer union representation to state employees who work in the judicial system. Local 1000 members led the charge by having meaningful conversations with state lawmakers in their district offices and at the Capitol during lobby day visits. This is just one way Local 1000 brings change to the lives of our members. We maximize our impact at the Capitol by first electing lawmakers who share our values and we build powerful alliances with community partners to fight for issues that impact working families.